Hi. I'm Maddie Cranston. I'm 14 years old and I'm an ocean warrior and stigma destroyer! I am also an international ambassador for AfriOceans Conservation Alliance. When I was 6 years old I watched a movie called Oceans that changed my life. I saw all the pollution and harm we cause our oceans and I knew I had to make a difference. I may be young, but here's what I know: it is never too early or late to make positive change happen. Through education and awareness we can make a difference even if we don't believe we see the results of our actions. What we do to help may seem like planting seeds in a garden we may never see. Connect with me on Twitter, Facebook or by email and share how you are helping to make a difference. Every effort counts! How do I share my message with the world? I speak at conferences and give interviews. My Activism in a Box resources. Lesley Rochat, Shark and Marine Conservationist, is known as the Shark Warrior. She is an inspiration to me. I've added a few of the videos on my list so that you can see her work. She was once afraid, but she didn't let her fear stop her. She overcame her fear through education and that led to opening her mind and developing a healthier mindset. 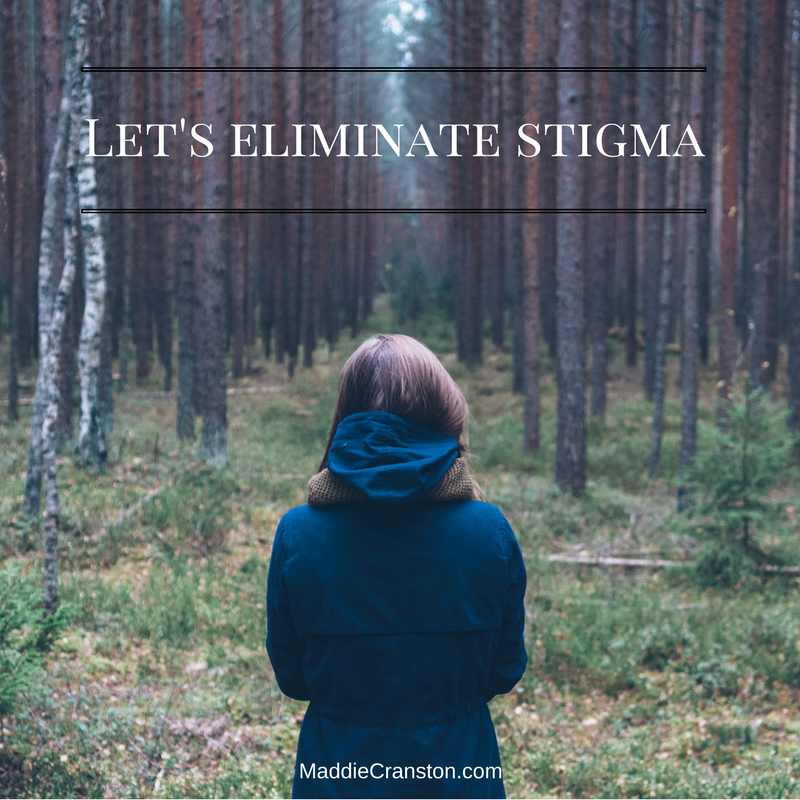 Stigma exists on many topics from a fear of scary looking animals to people who are seen as different to health issues such as mental illness. Stigma harms our planet and the people and animals who inhabit it. For example, do think of sharks as monstrous killing machines? This is a fear-based stigma. Did you know that sharks rarely bite humans? There are more squirrel attacks then sharks bites. We kill sharks by the millions each year. Due to the stigma associated with sharks, we've let hundreds of millions of sharks be killed every year. Every hour 11,000 sharks are killed by the practice of shark finning. Please check out my "Activism in a Box" toolkit. It is a resource to help anyone get started with creating awareness for a cause that calls to them. There are videos, recipes and helpful resources that are just a cool click away. There are so many ways YOU can make a difference. You don't need a big budget or really any budget at all. You need an idea and a plan and the motivation to get started. Once you take that first step, you'll be amazed at the momentum you can generate.